With 3 bar operating pressure, SOLO pressure sprayer 461 is ideal for a variety of tasks in the garden and outside the house, with a 5L capacity to enable you to work uninterrupted for longer. The large, smooth-running 270 cm3 pump creates the necessary spray pressure. The wide filling aperture, spray wand retainer, generous filling and cleaning aperture and two spray nozzles supplied as standard (flat spray and hollow cone) all located within a handy storage compartment are just some of the features of these attractive pressure sprayers. The polyethylene tank is UV-resistant and transparent so the fill level is easily visible and can be checked against the measuring scale. 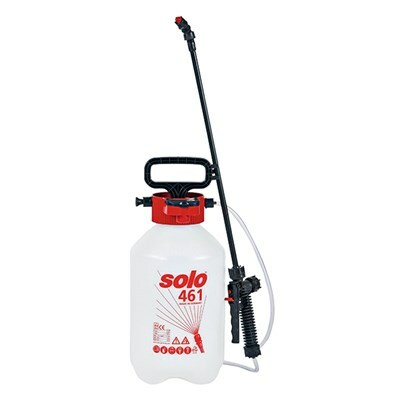 This pressure sprayer must only be used for the purpose of applying approved liquid plant protection agents, pesticides, insecticides, weed killer (herbicides) and liquid fertilizers available from authorised specialist dealers as well as for the purpose of applying clean water. The pressure sprayer must not be used for any other purposes, e.g., for the spraying of liquid paint or applying any other media than the above mentioned liquids! Particularly, aggressive, acid- or solvent containing liquids, disinfectants or impregnating agents must not be sprayed with this device. Never use fluids with a temperature in excess of 40 °C (104 °F). Wear protective gloves with non-slip palms. 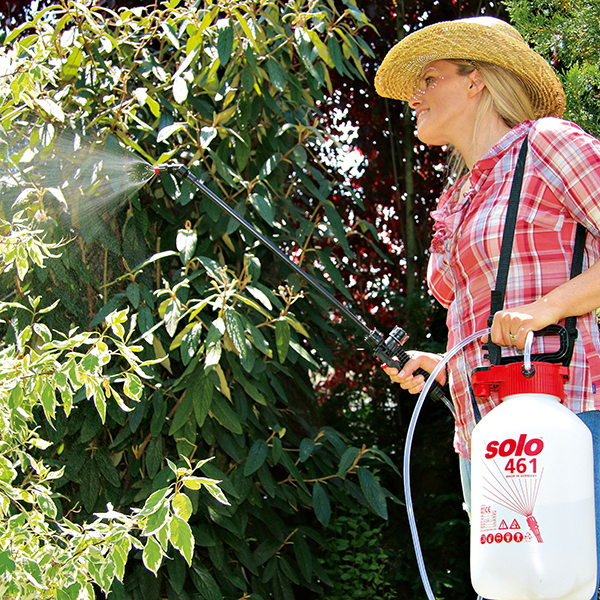 Wear face protection (e.g., safety goggles) against the spraying agents.